A perennial with many ascending stems from a crown that may reach 1-2 1/2 ft in height. 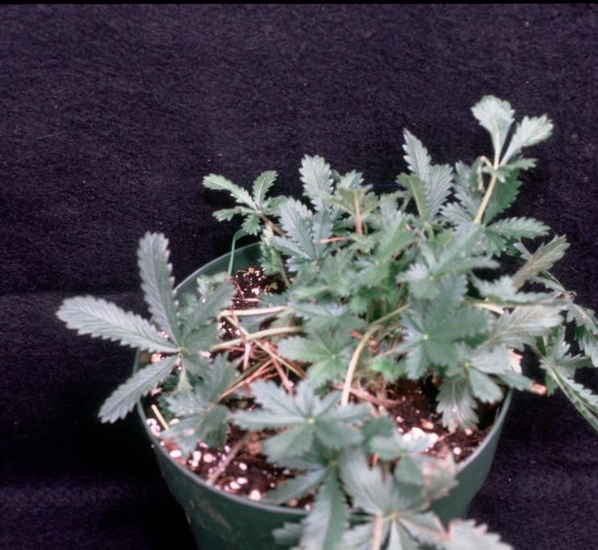 Primarily found in disturbed areas and along roadsides or railroads throughout N.C., S.C., Va., Tenn., Ky., W. Va. Divided into 7 (sometimes 5, rarely 9) leaflets that arise from a common point on the stem. Lower leaves alternate, petioled. 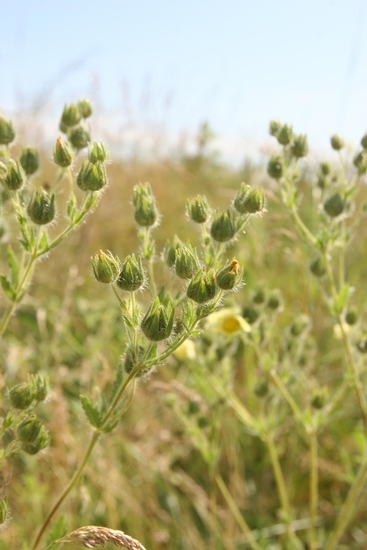 All leaves much longer than wide, widest at the middle and tapering to the base, sparsely hairy, with coarsely toothed margins. Erect, unbranched, ascending from a central crown, hairy, reaching 1 to 2 1/2 ft tall. Light yellow (sulfur) with a darker yellow center, 1/2-1 inch wide, with 5 deeply notched petals. 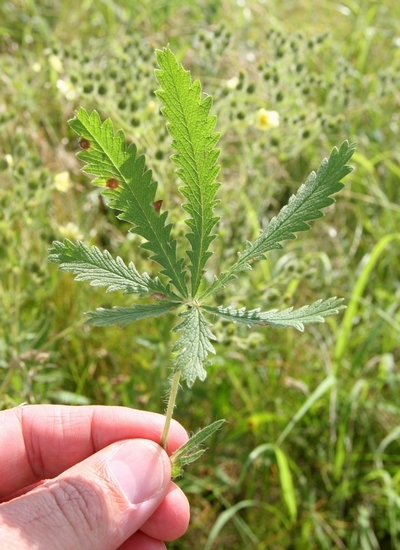 The 7 leaflets that most often occur in this species helps to distinguish it from other similar cinquefoils. 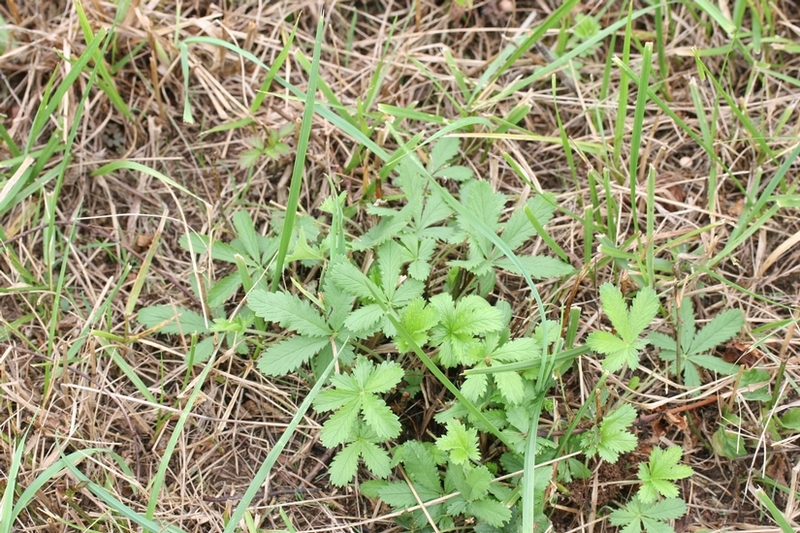 Oldfield Cinquefoil (Potentilla simplex) and Common Cinquefoil (Potentilla canadensis) both have 5 leaflets, darker yellow flowers, and rhizomes and/or stolons. 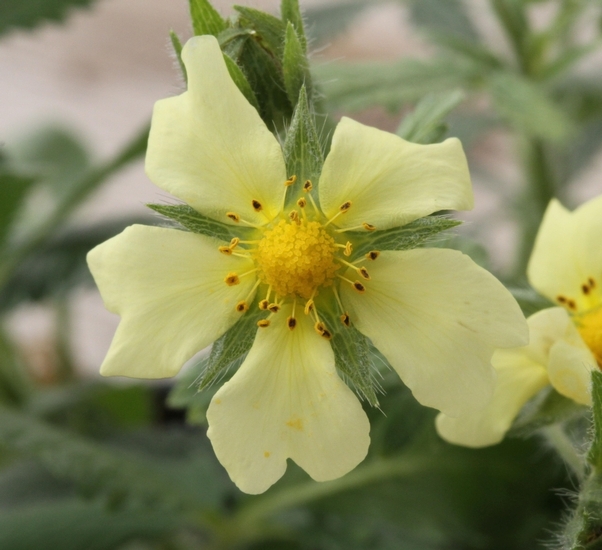 Additionally, the light yellow flower with 5 petals is a good identifying characteristic of this cinquefoil.